As temperatures drop and school winds down, you may find yourself with a fair amount of free time in the coming weeks. Instead of venturing into the chilly world outside, grab a cup of tea and warm yourself up with some poetry. This saucy American poet won the Pulitzer Prize for Poetry in 1923 and is well known for her feminist activism. Her poetry grapples with everything from relationships and femininity, to nature and mortality. Grab some chai and snuggle up to Edna as she resonates with you on every level imaginable. 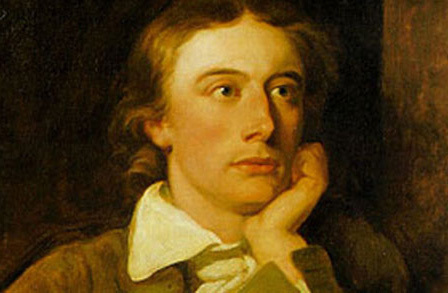 Keats’ name has probably popped up on your radar before. His poetry drips with romantic longing and pairs well with a warm blanket. Born in 1828 in London, Rossetti hoped to become a painter. Throughout his life, he dabbled as a visual and literary artist producing breathtaking works such as the prose tale, “Hand and Soul.” Thankfully, extensive archives of his work have been digitized and are publicly available online. British Romantic poet Anna Seward’s sonnets are captivating and make the soul ache. Her hauntingly beautiful descriptions of the natural world pair perfectly with warm tea and the chilly caresses of autumn’s exhales. 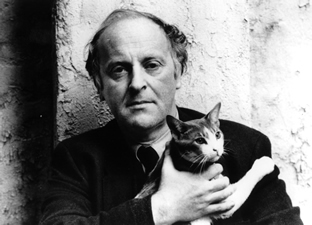 Excerpt from: “Behold that Tree, in Autumn’s Dim Decay"
Persecuted under the Soviet Union for his writing and his religion (Judaism), Brodsky’s work is lauded internationally for its candor and idealism. Although most of his poetry is pretty heavy and rife with political allusions, some of his later work is more focused around the natural world and mortality. Best paired with a cozy coffee shop, his work is easy to get lost in. Moore’s poetry will leave you with heavy unanswered philosophical questions. His writing focuses on age and the passage of time. His prose style poems are dense but chock full of intricate details that will remind you of the vibrancy of the world around you. Moore passed away this year, which makes reading his poetry feel like an eerie sort of intellectual resurrection. William Carlos Williams was a physician, and you can truly feel his passion for helping others through his writing. His poems are extremely short and best read in bed with a feline or canine companion. Imagist Amy Lowell has published over 650 poems, several literary criticisms and even a biography of John Keats. Sharp imagery, wit and delicacy run throughout each of her poems. Much of her poetry has Chinese influences and Lowell specifically enjoyed replicating a haiku-like structure. Annie Finch is an American poet and playwright. Much of her writing has a melancholy tinge to it. Best read with hot tea and lemon. Södergran is a Russian poet who wrote primarily in Swedish. Both really cold places, so you know she's a good read for the season. departure rustles through the trees.